Roy Alan Childs Jr. was born January 4, 1949, in Buffalo, New York. Had he lived, he would have turned 62 years old about two weeks ago. He once told his close friend Joan Kennedy Taylor that he first became interested in political issues at the age of 9. And by the time he entered high school in 1962, he had begun reading some of the classics of libertarian and individualist thought. He continued to do so during the remainder of his years in high school. he recovered, and went on to read Anthem and Atlas Shrugged. He reported he was "enthralled" by Ludwig von Mises's Human Action the Christmas before he was seventeen, that Rose Wilder Lane's Discovery of Freedom "more than any other book" made him a libertarian, and that the two predominant intellectual influences on him during these years were Ayn Rand and Leonard Read of the Foundation for Economic Education. After graduating from high school in 1966, Childs enrolled at the nearby State University of New York at Buffalo, determined to earn a PhD and get a job as a college or university professor. But during his freshman year, as Joan told the tale in the early 1990s, "he became interested in the teachings of Robert LeFevre and his Freedom School, and in 1967 he won one of forty full-tuition scholarships to LeFevre's Comprehensive Course." LeFevre had given his Freedom School (established in 1957, the summer before Atlas Shrugged was published) a new name by this time. It was now Rampart College, and LeFevre was busily hiring faculty and making plans for the school to become an accredited, degree-granting, four-year libertarian college as soon as all the necessary details were worked out. the Rampart College Newsletter announced … a new Pine Tree Features Syndicate [which] would distribute columns by writers such as Murray Rothbard, F.A. Harper (the founder of the Institute for Humane Studies), Robert LeFevre, [economist] Hans Sennholz — and some graduates of the course, including R.A. Childs Jr. Columns of his were distributed by Pine Tree Features in 1967 and 1968, and in the Spring of 1968 Rampart Journal brought out his first published article, "The Contradiction in Objectivism." The "contradiction" that Childs believed was bedeviling Objectivism from within was essentially the same one Murray Rothbard had identified about a decade earlier: if you followed Ayn Rand's arguments about the nature of government and individual rights to their logical conclusion, you would have to conclude that the state was an illegitimate institution that should be abolished. In other words, Ayn Rand, if she were as consistent as she always claimed to be, would be an anarchist. At this point, Childs was 19 years old, just finishing up his sophomore year in college. He quit college at the end of the spring 1968 term, however, to join the Rampart College teaching staff as an assistant instructor. He even packed up and moved to Larkspur, Colorado. But within a few months of his arrival, the entire Freedom School enterprise (including Rampart Journal, Pine Tree Press, and Pine Tree Features) collapsed. Robert LeFevre moved what was left of Rampart College (mainly its home study course) to Southern California. Childs went back to Buffalo and back to his college classrooms in the fall of 1968 and continued working, not only on his courses, but also on his argument on the contradiction in the Objectivist position on political philosophy. By the following summer, the summer of '69, he felt he'd finally perfected it. He rewrote it, in the form of an open letter to Ayn Rand herself, and submitted it to The Rational Individualist, a small-circulation monthly being published in suburban Washington, DC, by a group of former students of Objectivism who called themselves the Society for Rational Individualism (SRI). "An Open Letter to Ayn Rand: Objectivism and the State" by R.A. Childs, Jr. appeared in the August 1969 issue of The Rational Individualist, along with an editorial introduction by Jarret Wollstein of SRI. Wollstein wrote that "SRI had changed its declaration of principle, because 'Mr. R. A. Childs' had convinced them that any government was immoral." SRI, which had aspired to succeed the recently defunct Nathaniel Branden Institute as the institutional home of the Objectivist movement, had just taken a stand that would separate it forever from any officially sanctioned Objectivist movement, a stand that was more Rothbardian than Randian. You might say that SRI was one of Roy Childs's first big victories in his campaign to sell Rothbardianism to students of Objectivism. The fall of 1969 was, of course, a busy season for the nascent libertarian movement. At the same time SRI had jumped the Randian ship and turned Rothbardian, the student activists who had made up the Libertarian Caucus of the conservative youth organization Young Americans for Freedom (YAF) had decided to walk out of YAF en masse and seek institutional support for their activities elsewhere. That fall, SRI merged with the former Libertarian Caucus of YAF to create the Society for Individual Liberty (SIL). conclude that the increasingly influential "Mr. R.A. Childs" should be lured away from his current career as an undergraduate at SUNY Buffalo "to become the Associate Editor of The Individualist (the new format of the Rational Individualist) and to run the SIL Book Service." And so it was that Childs left SUNY again at the end of the spring term of 1970 to take a job with SIL in Silver Spring, Maryland. After two years on the job, Childs had an idea, which he took to Robert Kephart, the publisher of Human Events, an anticommunist weekly headquartered in Washington, DC. Kephart had thought himself a conservative but had been convinced by a series of conversations with Childs that he was in fact something else — a libertarian. Childs sketched for Kephart his new idea — his grand vision of a growing, prospering libertarian movement, led by a crusading, muckraking magazine to be called Libertarian Review — and Kephart had been sold, up to a point. He allowed Childs to talk him into buying the stock and the mailing list from the SIL Book Service. He allowed Childs to talk him into trademarking the name Libertarian Review. But he balked at the idea of launching a full scale magazine just yet. Instead he beefed up the old SIL Book Review, adding pages and new reviewers, and changing the publication's name to Books for Libertarians. Kephart reasoned that if Books for Libertarians grew and prospered, then, after a few years, it could be expanded further. He had in mind going to a tabloid format reminiscent of the New York Review of Books (NYRB), trotting out the Libertarian Review name he was holding in reserve, and ending up with a libertarian version of the NYRB. This was a little different from Childs's vision, but it was something Childs could live with very easily. He enjoyed the sorts of long review essays the NYRB specialized in, and he looked forward to writing such pieces himself. Childs settled in as editor of Books for Libertarians and settled back down to this latest phase of the work that brought him early fame in the libertarian movement — the work of introducing the former students of Objectivism who made up the lion's share of the emerging libertarian movement to the works of Murray N. Rothbard. It is uncertain whether Childs first encountered Rothbard's works during his freshman year at SUNY Buffalo or a few months later when he was taking Robert LeFevre's Comprehensive Course at Rampart College in the summer before his sophomore year. But encounter them he did, somewhere around 1966 or 1967. He seems to have met Rothbard in person sometime in 1968 or 1969, when Childs was about 20 years old, through Ralph Raico, a Rothbardian professor of European history at SUNY Buffalo and a longtime personal friend and associate of Rothbard's. Childs was mightily impressed by what he read inside the covers of Rothbard's books and by what he heard from Rothbard himself in that famous living room at 215 West 88th Street. And he was determined to pass his enlightenment along to the students of Objectivism who had begun flooding the libertarian movement after the 1968 collapse of the Nathaniel Branden Institute and the subsequent implosion of the Objectivist movement. Rothbard was something of an admirer of Ayn Rand — within limits. He first met her in the early 1950s, when she moved back to New York from Hollywood after writing the screen adaptation of her novel, The Fountainhead. At that time he didn't much like her. But, as Rothbard biographer Justin Raimondo puts it, when Atlas Shrugged "shot to the top of the best-seller lists" in the fall of 1957, Rothbard had to sit up and take notice. This was, he thought, a "dramatic breakthrough for the mass dissemination of libertarian ideas" — "a book, albeit a novel, explicitly advocating laissez-faire capitalism and the centrality of private property as the basic organizing principle of a free society." How could he not feel "sympathetic and even enthusiastic about the success of [such a] book"? Perhaps more important in the long run, the new mass audience Rand was attracting for libertarian ideas was, Rothbard felt, "generally ill-read and in need of education in several key areas," and the thought of playing an important role in educating these people was genuinely appealing to him. Not so appealing, however, that he found he could tolerate the company of Rand and her inner circle in order to undertake such a role. It was, therefore, ten years before students of Objectivism were introduced to Rothbardianism in any substantial numbers, and when it happened, the man who made it happen was not Rothbard himself, but the youthful Roy Childs of Buffalo, New York. From Childs's point of view, Rand and Rothbard had a lot in common. In terms of overall philosophy, they seemed to him to be virtually identical. Both of them believed in an objective reality knowable to all human beings willing to use their rational faculty to investigate it. Both believed in rational self-interest as a guide to personal action. Their main area of disagreement was in political philosophy. Rand insisted upon the necessity of a small, severely limited state. Rothbard was an anarchist. Hence Childs's opening sally in his crusade to convert Randians to Rothbardianism had been his argument that a consistent Randian must be an anarchist. And when he became editor of Books for Libertarians in 1972, he began running laudatory reviews of Rothbard's books: Man, Economy, and State, America's Great Depression, The Panic of 1819, Power and Market, What Has Government Done to Our Money? — virtually everything Rothbard had published up to that time. The first issue of Books for Libertarians is dated July 1972. A little more than two years later, in October 1974, Books for Libertarians became Libertarian Review. About a year and a half after that, Libertarian Review abandoned the old newsletter format it had inherited from Books for Libertarians and went to a tabloid format not unlike that of the New York Review of Books. With the previous issue, January–February 1976, Libertarian Review (LR had converted to a bimonthly publication schedule. But by the time all these changes took place, Childs was long gone. He didn't even stick around long enough to see Books for Libertarians become LR. He didn't last even two years as editor of Books for Libertarians. His first issue was July '72; his last was April '74. A 25-year-old has-been, ignominiously fired from the publication that was his idea, his creation, his baby — what had gone wrong? What had brought him to such a pass? Repeated failure to meet his deadlines. I met Roy Childs in the fall of 1972, only a few months after he started Books for Libertarians, and I knew him for 20 years. In all that time, I never knew him to pay much heed to deadlines. Whether he was writing something or editing something, he did it at his own pace and he finished when he finished, and if something was late as a result, well, so be it. Getting a thing right was always more important to him than getting it done. Bob Kephart, on the other hand, wanted to get each issue of Books for Libertarians done and done on time. He didn't see any other way for it to break through to financial independence. So he let Childs go and hired a replacement. Childs wasn't going to take this setback lying down. But neither was he going to knuckle under, to Kephart or anybody else. He immediately got to work on his comeback, writing and publishing major articles and reviews that he knew would bring him and his work to the attention of movement movers and shakers — not only the intellectual leadership of the movement, but also the wealthy individuals like Bob Kephart who had the resources to make the plans of intellectuals come to fruition. One essay, "The Defense of Capitalism in Our Time," won him an all-expenses-paid trip to Brussels for the 1974 meeting of the Mont Pelerin Society, where he mingled with just such people as this. Another piece, "The Invisible Hand Strikes Back," a devastatingly clever dissection of Harvard philosopher Robert Nozick's National Book Award–winning Anarchy, State, and Utopia (1974), was first presented at the third Libertarian Scholars Conference in 1975. Childs also spoke at the 1976 and 1977 Libertarian Scholars Conferences, and in 1977 he became a research associate of the Center for Libertarian Studies in New York, and a member of the editorial board of the Journal of Libertarian Studies. Eventually, what he had been working toward did come to pass. He managed to bring himself to the attention of Charles Koch, a wealthy Kansas oilman who had previously provided much of the financial support for Robert LeFevre's Freedom School. And he managed to persuade Koch to buy Libertarian Review from Bob Kephart and turn it into a monthly magazine to be edited by Roy Childs. He wanted the new Libertarian Review to reflect a broadly ecumenical frame of mind toward libertarianism; it wouldn't be a magazine just for Objectivists or just for Rothbardians; it would be a magazine for libertarians of every stripe (or, at least, of many stripes). He had already secured Murray Rothbard's agreement to write regularly for the new Libertarian Review, and he had recruited two Rothbardians, the historian Leonard Liggio and the economist Walter Grinder, as associate editors. Now, he thought, it would be nice to be able to add at least one Randian to the masthead. But it would have to be an unusually broadminded Randian — one who could work with Rothbardians on an ongoing basis. And it would have to be a Randian who could write as knowledgeably about current issues and events as the best of the Rothbardians, and do it with at least equal facility — it would have to be a Randian who could pull his own weight. Or her own weight. Now there was an idea! But where was there a female Randian who was knowledgeable about current issues and events, could write, and could be tolerant of Rothbardian anarchists? There was Joan Kennedy Taylor, of course. But she hadn't written anything on current issues and events in ten years. And would she be tolerant of the Rothbardians? Well, there could be no harm in trying. Childs tried and again got what he wanted. By the time of his first issue in July 1977, he had Joan Kennedy Taylor on his masthead as an associate editor along with the Rothbardians. For the next four-and-a-half years, Childs edited Libertarian Review, following it across the country when its offices moved from New York to San Francisco and following it back again when it moved again, this time from San Francisco to Washington, DC. When it ceased publication at the end of 1981, he moved on to a position at the Cato Institute, where he edited books and wrote articles on foreign policy. 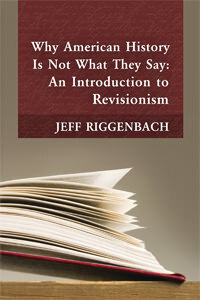 From there, in the mid-1980s, he moved back to New York and became editorial director of Laissez Faire Books, where he was responsible for reading through new titles coming on the market in history, philosophy, economics, and current issues, making preliminary decisions about which of these titles Laissez Faire Books ought to carry, and writing reviews of most of the books the company did end up carrying. These reviews were published in the monthly Laissez Faire Review, which doubled, of course, as a mail-order book catalogue. It is in this role — as the author of what Brian Doherty aptly calls "detailed and erudite reviews for the monthly catalog of libertarian mail-order bookseller Laissez Faire Books" — that Childs is probably best remembered today. As early as 1994, ten years after he took the job at Laissez Faire Books and two years after his untimely death at the age of 43, Joan Kennedy Taylor wrote that "many people only know Roy as the premier book reviewer for Laissez Faire Books"; in her estimation, among the qualities that "won him a multitude of fans" during those years were "his vast reading, which he often used to place the book he was discussing in a wider context; his willingness to point out disagreements he had with a book he was recommending; [and] above all, his unquenchable enthusiasm." Childs's importance in the libertarian tradition extends far beyond his work as a writer, however. Even at his worst, he was a pretty good writer. At times he was very good. But journalism is always a race, a race that's usually followed by a compromise. You seldom have enough time to get a piece into the shape you'd really like it to have. You have only so much time, and you often have to settle for the best you could do in the time you had as a substitute for the best you could do. The haste with which he always had to write everything he wrote has marred a good deal of what Childs wrote. And one of the reasons his own writing suffered from too much haste is that he spent too much of his time rewriting articles by other knowledgeable people who simply didn't write that well — at least, at that stage in their careers. Also, time has passed. Part of what so impressed people about Childs's essays was the fact that here was an obviously brilliant mind writing fairly detailed assessments of current issues and events on the fly, just like (to use names that loomed large in journalism at the time) William Buckley, Norman Podhoretz, Nat Hentoff, or Nicholas von Hoffman. He wrote as well as they did, at least much of the time, and he was even more astute. After all, he was a consistent libertarian. There were few other libertarian voices of that kind back then. From the standpoint of today, much that Childs wrote seems less brilliant than it did at the time, because, with three decades of hindsight, it now seems obvious that his was the correct understanding of the events and issues he was writing about. He knew that 30 years ago. the sort of man whose presence put smiles on people's faces. He was the sort of figure all ideological movements need … the tireless networker, letter writer, phone caller, dedicated to a larger vision of a long-term libertarian project that extended beyond whatever work he happened to be doing, as dedicated to promoting and connecting other libertarian comrades as producing specific tangible work of his own. At his peak, in his late 20s and early 30s, when he was editing LR, he was, as Doherty puts it, "the most consistent personal inspiration and support to a rising generation of young libertarians." Roy Childs was one of the handful of people of whom it might be said that had he not lived, had he not done what he did, the libertarian movement as we know it today would not exist. This article is transcribed from the Libertarian Tradition podcast episode "Roy Childs, Jr. (1949–1992)."